This is definitely our inspiration for next season. NASA's images of our dear and dying Earth. After looking outside of her we want to zoom back into Earth and honor its beauty. Our favorite Flickr contact is for sure the NASA Goddard one! Open Data and science is what makes us vibrate here at Slow Factory. Stay tuned for our next collection and events! 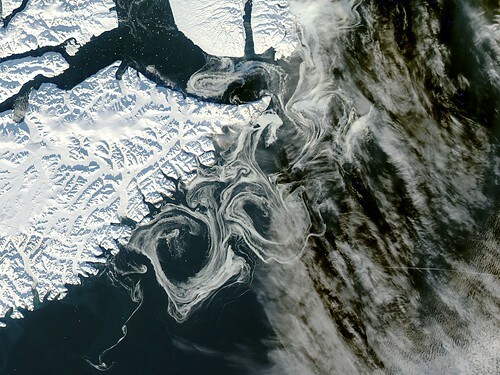 The MODIS instrument on NASA's Aqua satellite captured this visible image of Sea Ice off eastern Greenland on October 16, 2012."